St Petersburg Russia has experienced the reign of eleven emperors, dozens of floods, the Bolshevik revolution, the three-year Leningrad Siege and an economic reform in 1990s that would surprise even the most sophisticated of travellers. The History of St Petersburg, Russia. Nevertheless, today this young cosmopolitan city is looking toward a better future. In some ways St. Petersburg has changed, is still changing and surely it will continue to change hopefully for the better, though there are still some local issues both political and economical to sort out as I think there are everywhere else. From our local point of view, the history of St Petersburg is the main strength of this Russian city. In fact, Saint Petersburg is probably the only city in the world to have acquired so much historical importance in such a short period of time. For many Russians, all the memorials, Russian museums, statues and historical buildings you see in the city now have been erected and maintained to help them remember the past and keep it alive for the youngest, while for visitors like you it is something really worthwhile to see. If you would like to learn more about the history of St Petersburg before you come, or you just want to know more out of curiosity, you've come to the right place. On this page we offer a brief introduction to St Petersburg's history, a city that quickly became the symbol of great progress in Russian culture and science despite all the difficulties it went through. To get started click on the links below or just scroll down slowly with the mouse to the bottom. The history of St Petersburg and Russia goes back about 1200 years. Before Peter the Great, Russia was considered to be a backwards and barbaric country in the eyes of the major powers in Europe. According to the legend in 862 the people living east of the Baltic invited Varangians (i.e. Scandinavians) who organized the state and established the Rurik dynasty. The dynasty ruled Russia for 700 years. 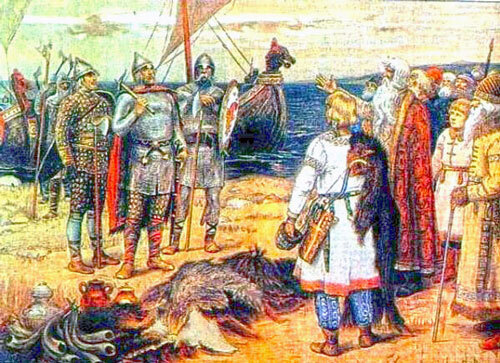 Varangian chieftain Rurik built the town of Ladoga. Then he came to Lake Ilmen and built there a town that he called Novgorod, today an emerging tourist attraction located outside the city of St Petersburg. Although the capital of Russia moved to Kiev in the 10th Century, Novgorod retained its dominance over the north-west of the country, controlling the borders with the northern neighbors of Russia. In 1223 an “unknown enemy” fell upon Russia. The Mongols, united under Genghis Khan, had already subjugated a large part of Asia and were now moving against Europe. Novgorod was untouched by the invasion, so the culture in the north continued to develop. Fortresses and monasteries were built. Ivan the Terrible’s suppression of Novgorodian freedoms in the 16th century weakened Russia’s position in the Baltic Basin. The Livonian War and Swedish intervention of the early 1600s robbed Russia of its access to the Baltic Sea. However, after the rule of Peter the Great, this view changed and Russia was no longer seen as a backward nation stuck in medieval times, but rather as a major player in the balance of power in Europe. The construction of St Petersburg Russia was ordered by Peter the Great, designed by different foreigner architects and then built almost entirely by thousands of serfs; but before that, the Northern War occurred and this was the reason the city was built. Perhaps many people do not know that the history of St Petersburg started with a war that broke out between Sweden and Russia. In the past these countries fought for very convenient lands which allowed Peter the Great to get an outlet to the Baltic Sea and thus enabling access to trading routes leading to Europe. Though the Swedes occupied half of Europe at this time, they did not manage to overcome the strong opposition and suffered a defeat in 1721. However, during this so-called Northern War against Sweden, Russia needed a strategic point not too far from the place where the Swedish opposition was. Since the early 17th century there was a fortress called Nyenskans at the mouth of the Okhta River. This Swedish structure was dangerous for Russia when the war began. Accordingly, Peter the Great ordered the construction of the Peter and Paul fortress that is now situated in the middle of the city on Zayachiy Ostrov (The Hare's Island - today an important tourist attraction). Soon after he also named this city "Sankt Petersburg". The first cobblestone of the new capital, which was open to the sea winds and European trends, was laid on May 27, 1703. At first, there were only fortifications of stone and bricks in the middle of a swamp, but the future Russian city under the cover of the Peter and Paul fortress was able to flourish and develop quickly. Numerous Russian and foreign architects, such as Domenico Trezzini, Jean-Baptiste Leblond, Bartolomeo Rastrelli and many other people, took part in Peter's project and worked on building the city according to European standards. In fact, the Tsar Peter dreamed of constructing a kind of "Northern Venice" with a lot of water and bridges. The work of these qualified people which led to the style that would later be called the Russian Baroque, is today magnificently visible. Also, along with those foreign architects who designed the general layout of the center, it is important to remember that there were more than 15 000 artisans from various Russian regions who, brought here by force in 1710, helped to build the first part of the city - Vasilevsky Island, and years later, all the rest. 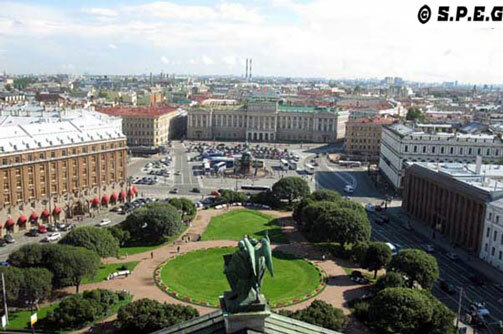 The history of St Petersburg Russia is mainly marked by the reigns of two great empresses: Elizabeth and Catherine II. Their reign lasted for 50 years, ending as the 18th century drew to a close. Both have followed the deeds of Peter the Great! 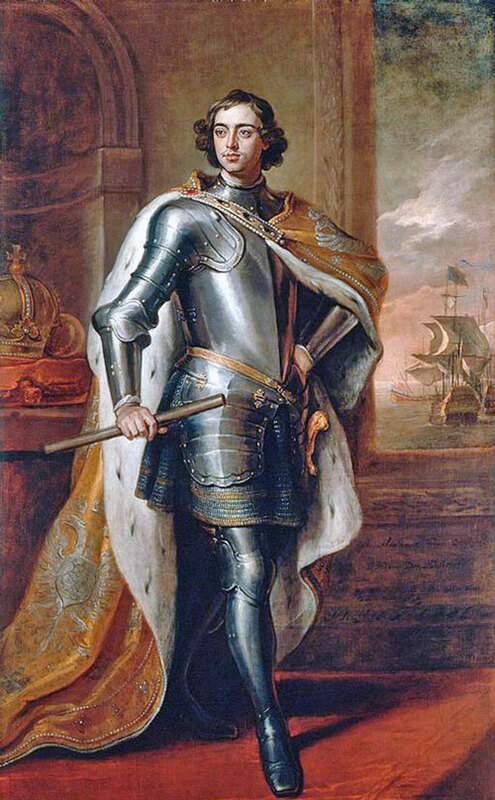 A pause in the city's development followed the death of Peter the Great in January 28, 1725. 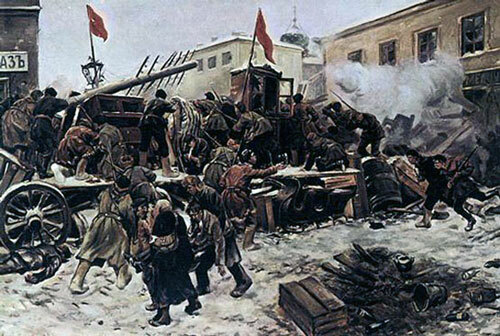 This event brought the capital of Russia back to Moscow and the city of Peter began to decay. But when Anna Ioannovna was enthroned, the status of Russian Capital returned to St. Petersburg again. 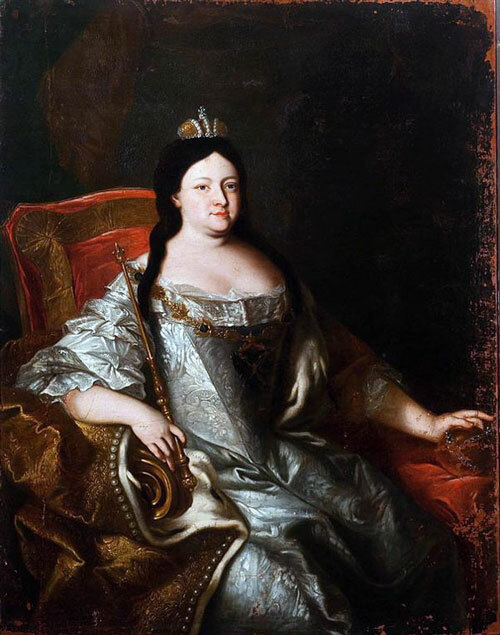 This first empress Anna Ioannovna (1693-1740) tried to be seen as the follower of Peter's ideas. During her reign, the city was divided into five parts, the center was moved to the Admiralty Island and three now famous thoroughfares that began near the Admiralty, namely Nevsky Prospekt, Median Prospekt (now Gorokhovaya street), and Voznesenky Prospekt, were completed. However, it was clear that during the time of Peter and Anna, St. Petersburg had been built purely for pragmatic reasons. Basically, to protect Russia from the Swedish attacks. So at the beginning only a few large stone buildings existed and the decoration of the imperial city was not so important. But during the reign of Elizabeth Petrovna (1741-1761), who ascended to the throne in 1741 after Peter I, Russia was brought back to the custom of doing things by means of the Russian people and the majestic buildings, worthy of the capital, started to appear. In fact, in this period the Russian baroque style was presented in masterpieces such as the Winter Palace, Smolny Cathedral, St. Vladimir's Cathedral, and Anichkov Palace. Today, all these sites becomes a tourist attraction, and many of them are listed in the top attractions of the city, so they are a must-see for first-time visitors. 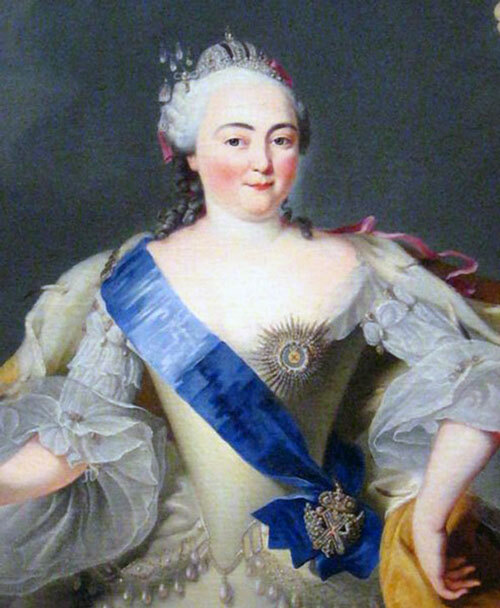 After the reign of Elizabeth of Russia, a second brilliant time for the development of St Petersburg as well as for the whole country, began in the reign of Catherine II also know as Catherine the Great (1762-1796), when Russia conquered the Crimea and the northern shores of the Baltic sea, regained the Russian regions of Poland and joined Kurlandia. History says that when Catherine II acceded to the throne there were about 60.000 inhabitants in Saint Petersburg. After 30 years, the Russian population of the capital increased to 230.000. It was during her reign that the intensive construction of stone buildings started and a new Classicism style was established. Such stunning buildings as the Academy of Fine Arts (by Yury Felten), the Gostiny Dvor (by Jean-Baptiste Vallin de la Mothe), the Marble Palace (by Antonio Rinaldi), the Old Hermitage (by Yury Felten), the Taurida Palace (by Ivan Starov), the Smolny Institute (by Giacomo Quarenghi), the main Admiralty building (by Andreayan Zakharov), the Stock Exchange (by Thomas de Thomon), and the Kazan Cathedral (by Andrey Voronikhim) were all constructed during her reign. Today you can admire and take photos of all these amazing sites as they all have been well preserved! If you are interested on a private guided tour to any of the places mentioned above feel free to contact us. This century has been a blossoming and pleasant time for Russia, though there have been some wars and social issues in between. However, the worst was yet to come! The XVIII century is considered the golden age of Russian art, including architecture. Isaac's and Kazan Cathedrals, Mariinsky and Mikhailovsky Palaces, Our Saviour on the Spilt Blood Church, the famous monument to Peter the Great – the Bronze Horseman - and many other splendid architectural monuments were built at this time. Today you can visit all these places as they are open to public and the most appealing city attractions. During this era, new figures such as emperors Paul I, who followed Catherine II; Alexander I, who fought Napoleon; Nicholas I, who ruled the city during a growth of industry; plus the tsars Alexander II and Alexander III who both brought the country back to a short peaceful period of time, came out to lead Russia of that time, reconstructing the city center and its suburbs. With those tsars, the city began to acquire specific features preserved until this day: straight streets, strict style of structures and building density. Developers were required to follow precisely established street lines. Only canopies above the entrances, balconies, and bay windows could stick out of the facade line. At that time apartment houses multiplied rapidly, in addition to luxurious private mansions. The owners of the apartment houses rented rooms to poor people. Trying to get the maximum income, every owner made his building as dense as possible without any concern about how it would affect the sanitary condition of the city. The high building density, as well as the abundance of dark and damp courtyards, became a common feature of many neighborhoods of St Petersburg. This is especially seen near Sennaya Square and Kolomna, where the characters of Dostoevsky’s “Crime and Punishment” lived. This Russian city was at its best and growing fast until the First World War began and the social issues started to arise in the city, primarily a gap between the upper class and the working class. The contradictions in social life that had been growing alongside the wars in Russia were ended with the Democratic Revolution (1905-1907). 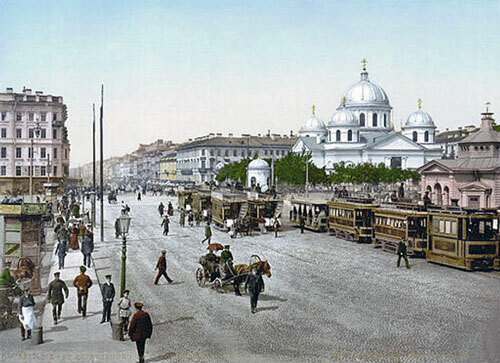 In the early 1900s, during the reign of the last tsar Nicholas II, St. Petersburg was renamed Petrograd. Russia was at war with the Japanese and a convertible ruble was introduced as part of Count Witte’s reforms as Finance Minister. The overall outcome of all this was a grave economic crisis that especially affected the mining industries, the banking sector, and the social life of millions of Russians. Consequently, the administrative system began to break down. Political parties appeared, social discontent arose, and the war with Japan which led to a humiliating defeat, caused the birth of several strikes. Not long after this, the 1905 revolution occurred as a response to the consequences of ill-considered reforms. To tackle this bad situation, on the 17 October 1905 Nicholas II at last tried to sign a manifesto granting civil liberties and an elected parliament (Duma), but the manifesto saying "God, help us, pacify Russia!" came too late. Armed uprisings, that included soldiers and sailors, erupted across the empire. The brutal manner with which they were put down brought the Social Democratic Party (Bolsheviks) thousands upon thousands of new members and hastened the disintegration of the army. This led to the end of the Russian autocracy and the defeat of the Russian troops on all fronts in the early years of the First World War. The call to do something by Bolshevik leader Lenin was simple and understandable. That's why he made it, and millions of Russians joined the revolution in 1917. Russia’s enemies in the First World War did everything possible to completely undermine the economy of the empire. The countryside was depopulated. 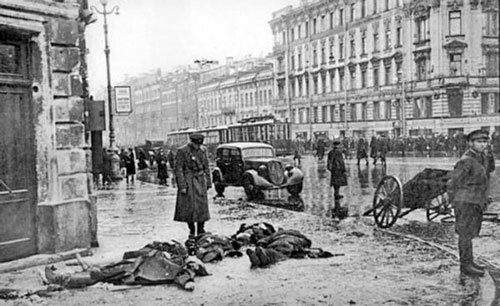 Petrograd (the name of Saint Petersburg in 1914-1924) was starving, and so the situation got out of control very quickly. On 25-26 February in 1917 there was a general strike and a lot of confusion. 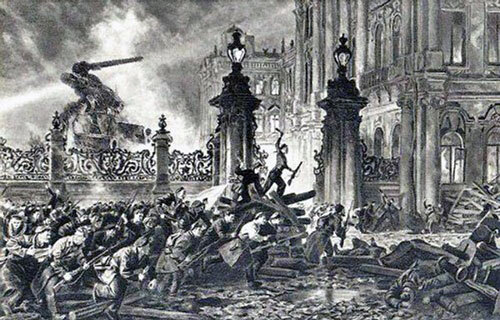 But on the 27th the men of the Petrograd garrison joined the strikers and almost took control of the city. Days later, on 2 March, Nicholas II abdicated. A committee of the Duma formed a new, provisional government. But while WWI still went on, the new government proved incapable of solving any of the country’s pressing problems. Vladimir Lenin, then in exile in Zurich, sent a message about what should be the aims of the proletariat - peace for the nation, bread and complete freedom - and gave his party a strategic advantage. So Lenin's message, plus the civil war and the confused medley in the life of Russia as well as crises in economic, political and social life, contributed to the so called 1917 October revolution led by the Bolsheviks headed by Lenin. This Russian revolution turned the political system of Russia on its head, and put an end to the Tsars's dynasty, marking at the same time the beginning of what was going to be called the Soviet Times. It is astonishing how the city of Peter retained its name "Leningrad" for nearly seventy years, though Lenin's era did not last this long. The victory of the Bolsheviks in October 1917 demanded enormous sacrifices. The brilliant tactics of Lenin and his supporters were founded on an idealistic economic strategy. This is why, even years after taking power, the Bolsheviks were unable to normalize the situation in the country. They could not overcome economic ruin and impose law and order on anarchy. At the same time, any efforts to restore the monarchy were violently suppressed in accordance with Lenin’s program. The Soviet republic was destined to usher in the dictatorship of the proletariat and then “Stalin’s empire”. Despite the difficult time, there was still life in the city. Even in the extremely hard years a new film studio “Lenfilm” was set up in Petrograd (1918), the House of Books opened on Nevsky Prospekt (still open up to now, and in my view a good place to go for buying books or enjoy a cup of coffee or tea), and the World Literature Publishing House was founded. Also, the look of St. Petersburg changed. The field of Mars was transformed into a garden laid out to the drawing of Ivan Fomin. The granite monument to the revolutionaries who perished during the street clashes was erected in the middle of the square to the design of Lev Rudnev, and so forth. Vladimir Lenin, the leader of the Bolshevist Party, died in 1924 and his followers, the Bolsheviks, who were the government at that time, renamed the city Leningrad "to commemorate Lenin's name". By the 1941 the city had become one of the world’s greatest cultural and scientific centers, where prominent figures like Pavlov and Ioffe, Prokofiev and Shostakovich, Kozintsev and Trauberg lived and worked. New research institutes, housing areas and bridges were built. In fact, the new districts of Avtovo, Moskovsky Avenue and Malaya Okhta were all developed. So, the development of the city of St Petersburg restarted, though in a different way, but was interrupted again with the beginning of WWII. The 900-day siege that cost the lives of hundreds of thousands of civilians and servicemen has gone down in world history as an unparalleled display of heroic human dedication and determination. You should know that the Great Patriotic War (the name of WWII for Russians) against Germany caused immense suffering for the whole country, and in particular for St. Petersburg. As soon as Hitler’s airplanes began bombing Soviet cities on 22 June 1941, Leningrad – the greatest cultural treasure-trove – started with amazing speed to evacuate millions of works of art. Trains took the canvases of Rembrandt and Rubens, Briullov and Repin out of the city. 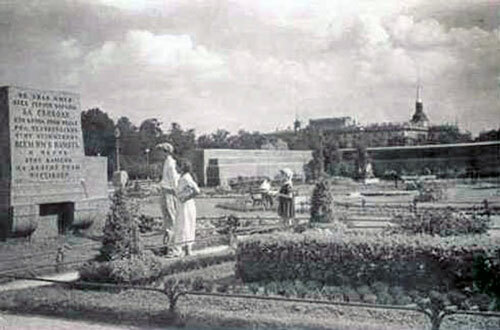 Outdoor sculptures were buried in the ground. Camouflage nets were stretched over the architectural masterpieces and monuments. “The Fuhrer has decided to erase the city of Leningrad from the face of the Earth. Our side has no interest in the preservation of even part of the population of the city… It is proposed to tightly blockade the city and use artillery fire of all calibers and constant aerial bombing to raze it to the ground…”. But the city was preparing not to surrender, but to fight, and they finally won. The Siege of Leningrad was the hardest period for the city during WWII. It lasted from September 8, 1941 till January 27, 1944 - about 900 days and nights of hunger, pain, bombs, and killing. However, by fighting for Leningrad Russia, the citizens managed to keep the enemy away from the imperial city, although at a very short distance. This went beyond the call of duty and saved hundreds of thousands of lives, although of course many perished. Today, you can find many war memorials in the city that commemorate the ones who died in order to let St Petersburg live. You can also visit the memorial ensembles created in their memory in the 1960s at Piskarevskye and Seraphimovskoe cemeteries, including Sosnovka Park, where I run myself an informal bike tour. Personally, those war memorials are a must-stop for a first-time visitor as only this way you may get a feeling of the history of St Petersburg of that time. The history of St Petersburg says that a huge task was ahead for many Russians after the war with the Nazis. Honestly this was true! In fact, the work of rebuilding the city of Peter I started a few days after the end of the siege. 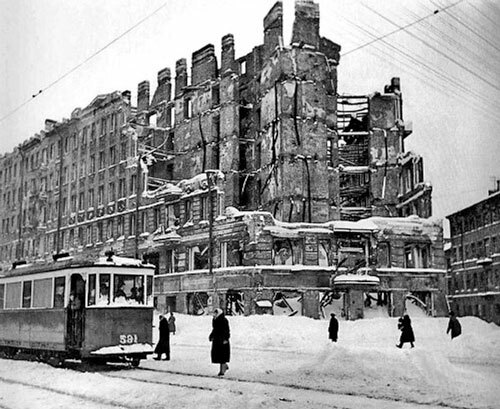 After the war against the Nazis, years of shelling and bombing, Leningrad was reduced to ruins. The city was pretty much destroyed! The tremendous goal for many Russians now was to bring their city back to its former glory. This achievement was entirely comparable with the feat of its original construction in the early 18th century. In 1944, when the Siege was fully lifted, there was not one significant building unaffected by fire or bomb damage. All of the suburban palaces and parks were ruined. Yet by 1949, the city’s industry had reached pre-war levels and factories and housing had been converted to gas. The major palaces and museums reopened one after another. In 1955 the first line of St Petersburg Metro began working. By the mid-1950s, after only 10 years, Leningrad was again one of the world’s architectural and cultural gems. The end of the 20th century was marked with important and enormous changes in the history of St Petersburg, as for all Russia. In 1991, the name of St . Petersburg was returned to this city. In 1994, it became the place of the Goodwill Games, while today it has become a superpower. In brief, by the mid 1980s the Communist Party came up against the catastrophic consequences of its own incompetent economic policies in the previous decade. This led to new reforms aimed at improving social conditions by controlling a position in its Central Committee. View of St. Petersburg Russia today. The new course, proclaimed by M. Gorbachev with the slogan Perestroyka and Glasnost, followed on from the calls of the 1970s regarding the economy, including calls for acceleration and intensification of production. Funds previously allocated to development were now used to increase wages, but later this led to serious inflation. So by the late 1980s the Soviet Union reached boiling point, causing the city in the early 1990s to fall apart. Leningrad, like the rest of the country, was then gripped by election fever. In 1991 the city recovered its historical name and a new decade of austerity and poverty across the whole country called Perestroika (proposed by Leonid Brezhnev in 1979 and actively promoted by Mikhail Gorbachev) toke place. By the mid 1990s, the attempt to open the country to the free market with new radical reforms led to an economic collapse, political crisis and to Russian cities crumbling wherever you looked. The return of the city’s glorious former name did nothing for the evolution of culture, science or learning. Only in the late 1990s pragmatism gradually gained the upper hand over political idealism, producing some results. 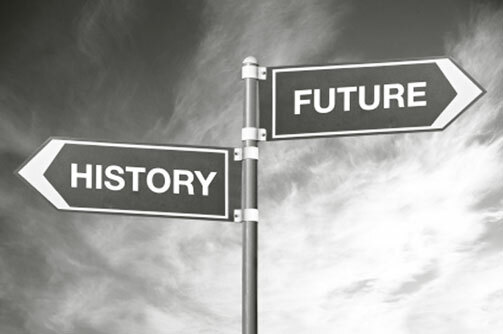 In fact, a few years later the growth of business, political and cultural life was gradually emerging. And, by its 300th anniversary in 2003, St Petersburg Russia started to grow and develop intensively, becoming the brilliant capital of the great Russian Empire that it is considered today. The new change and grow of the country occurred thanks to the strongest and pragmatic leadership of Vladimir Putin who imposed suitable political, social, and economic reforms at the right time and place. It took more than two decades to get where Saint Petersburg is at present, but luckily the city made it and has become a really nice place to visit, live, and work, and I hope it will last. That said, I believe that the history of St Petersburg will be always imprinted on the memory of many Russian people for generations to come. Because the history of this Russian city includes many dramatic political, historical, and economic events, which have marked and changed the lives of millions of Russians right up to today. From History of St Petersburg return to St Petersburg Russia, or go back to the Homepage.